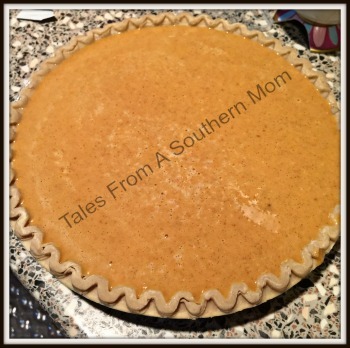 Home / Recipes / Desserts / Pumpkin Pie for PI Day with Wholly Wholesome! Pumpkin Pie for PI Day with Wholly Wholesome! I was excited to hear about Wholly Wholesome and the products that offer and to be honest I was excited about an excuse to bake a pie! I love pie, probably more than cake. So why would Wholly Wholesome celebrate Pi π day? 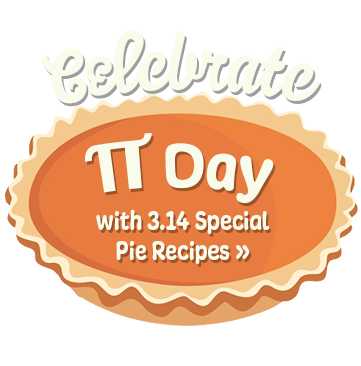 They of course want you on 3.14 π to pick out your favorite filling and make a pi π to celebrate. Wholly Wholesome has frozen pie crust that are organic, all natural and they offer three different varieties, whole wheat, spelt, and traditional. I was excited to try a healthier version of frozen pie shells. You can use their fabulous graham and chocolate crusts as well. I decided to make a Pumpkin Pi π because it is a favorite around here, my oldest son even requests one for his birthday instead of cake. Pies have always been my Thanksgiving contribution, I am so excited that I can use these pie crusts now. I am always on the look out for healthier options, little things mean a lot to your health when they all add up. Now, there are so many ways to celebrate Pi π Day, I guess we could have dressed up as pies, or maybe gone out for pie, we could have made a pizza pie or even a savory pie. Wholly Wholesome even has Pizza Crusts available for you to make your pizza pie. For us it was easy,the pumpkin pi π, using my mom’s recipe from years of Thanksgiving and Christmas celebrations was going to make it perfect. INGREDIENTS: Organic Wheat Flour, Organic Palm Oil, Water, Organic Cane Sugar, Sea Salt. Well, that about says it all for me! I don’t want artificial coloring in my crust, nor do I want lard, or many of the other things listed there. The question is do you? So, whats it going to be? What are you doing to do on 3/14 to celebrate National PI π Day? What filling will you use? You can find Wholly Wholesome products in most stores, check out their social media channels to see where you can find them near you. My daughter loves pumpkin pie. I make her her own pie for Christmas every year. My favorite pie of all time! Thanks for sharing!